If you have been diagnosed with a slow heartbeat (bradycardia), muscle damage from a heart attack, or heart failure that results in insufficient blood flow through the heart, your doctor may recommend implantation of a pacemaker. Pacemakers are usually inserted under local anesthesia, and you will typically be able to go home within one or two days of the procedure. In some cases, you may even be able to leave the hospital the same day. However, that does not mean that you are ready to go back to your regular activities. In fact, not only do you need time to recover from the procedure, your best chances for recovery include enrolling in a cardiac rehabilitation program. Medicare, and most private health insurance companies, cover the costs of cardiac rehab after pacemaker procedures. In a cardiac rehab program, your implant site will be carefully tended to, you will be taught how to take care of your device, and a team of therapists will help you gradually increase your level of activity in a safe way. 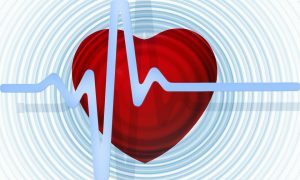 One study investigating the effects of cardiac rehabilitation after pacemaker insertion found an increase in quality of life, mental health, and general health, including an increase in exercise capacity of 14-25% in those who participated in cardiac rehab. A good cardiac rehabilitation program includes exercise training; instruction on lifestyle changes, including nutrition; and emotional support, in either an individual or group setting. According to WebMD, when looking for a cardiac rehab program, one should seek a facility that offers a multidisciplinary approach, an individualized treatment plan for each patient and the continuous involvement of your personal doctor in your progress and care. Moreover, since your recovery takes place seven days a week, you should be sure your rehab facility offers treatment on weekends as well as during the week. SMART Rehab, the cardiac rehab program at Tower Lodge Care Center, provides all these features in order to give its patients the opportunity to return to a healthy life. If you have been suffering from bradycardia, heart failure, or muscle damage after a heart attack, don’t lose heart! A pacemaker, followed by cardiac rehabilitation, can give you a new lease on life.